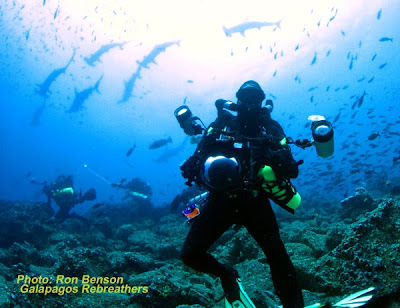 I always have a hard time getting back to civilization after a Galapagos Rebreathers live-aboard trip. The logistics and trip preparation are hard but the rewards of coming back with dozens of hours of CCR diving with the best marine life diving in the world is priceless. On the other hand, I often end up with hundreds of raw photos and video. The immediate reality of this world make it easy to turn those into a steady stream of media for Facebook or YouTube; o the other hand, the time and patience to work on a piece of edited material that makes sense and fairness to the extent of the experience our customers have while diving a CCR here is a whole other story. As much as I dread doing it I understand the need to create something that can, somehow, maybe, make justice to what really being here is. It’s just hard to find the time and dedication to work on this with an amazing wife and daughter who deserve all the love in the world, an everyday busier dive center and the hundreds of emails and projects that wait impatiently. 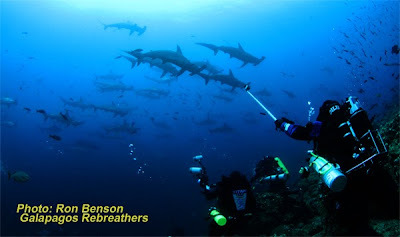 Here is short edit made from amateur footage taken with GoPro cameras. I've also gathered some testimonials from of the divers on board and will atempt to brodcasten them soon enough. I hope this makes a little justice to what being here really is. 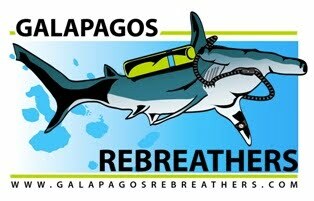 Leaving for the biggest ever Galapagos Rebreathers trip. 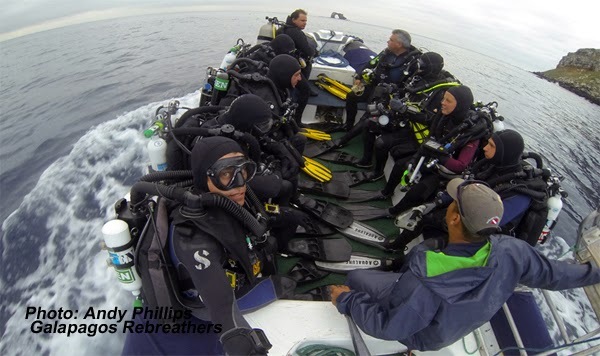 We have 14 dives on board on CCR and a wide range of units. 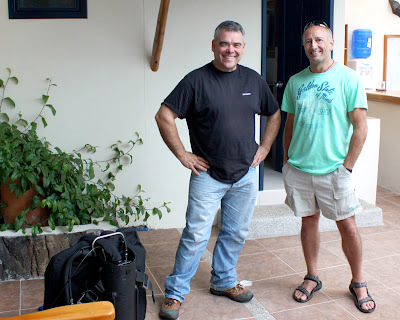 Welcome everybody and dive safe! !